Joseph Monge delivered a clutch three-run double and Daniel McGrath authored another quality start as the Salem Red Sox started their 10-game road trip with a 5-1 win over the Frederick Keys on Thursday night at NYMEO Field. McGrath (3-3) didn’t disappoint in his second straight start against Frederick. On the heels of a seven-inning complete game WIN against the Keys, the southpaw’s lone mistake was a solo home run given up to Jomar Reyes in the last of the fourth. Despite the solo shot, McGrath earned his fourth quality start in eight outings this year. He gave up a run on five hits in six innings, striking out three and walking two. Salem’s offense immediately picked up their starter with a pair of tallies in the fifth. With runners at second and third and one away, Monge reached on a run-scoring fielder’s choice that tied the game. Wendell Rijo then lifted a sacrifice fly to center, pushing the Sox ahead 2-1. The score remained 2-1 until the eighth when Monge delivered the decisive blow. Prior to Monge’s at-bat, a dropped catch error on a potential inning-ending foul ball extended the frame, leading to the bases being loaded with two outs. Monge then ripped a three-run double to right-center field, extending the Salem advantage to 5-1. The hit was Monge’s second three-run double in as many games against the Keys. On the night, the Salem leadoff man was 3-for-5 with two doubles and four RBI. He now has six extra-base hits during his six-game hitting streak. Bobby Poyner tossed two spotless frames out of the Salem bullpen, setting the table for German Taveras, who closed the game out with a scoreless ninth. Mitch Horacek (3-9) suffered the loss for Frederick, yielding two runs on six hits in five-plus innings. He struck out three and walked one while losing to Salem for the second time in as many starts. The series continues from NYMEO Field on Friday night at 7:00 pm. Reigning Carolina League Pitcher of the Week Trey Ball (5-3, 2.29) makes the start for Salem against Frederick’s Franderlin Romero (4-1, 2.96). 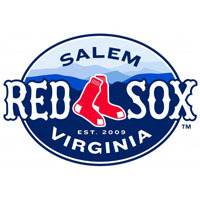 Follow along with all the action on the Salem Red Sox Baseball Network, with pre-game coverage beginning at 6:45 pm.